GoPens.com | Handwritten Post – Pen Or Ink? 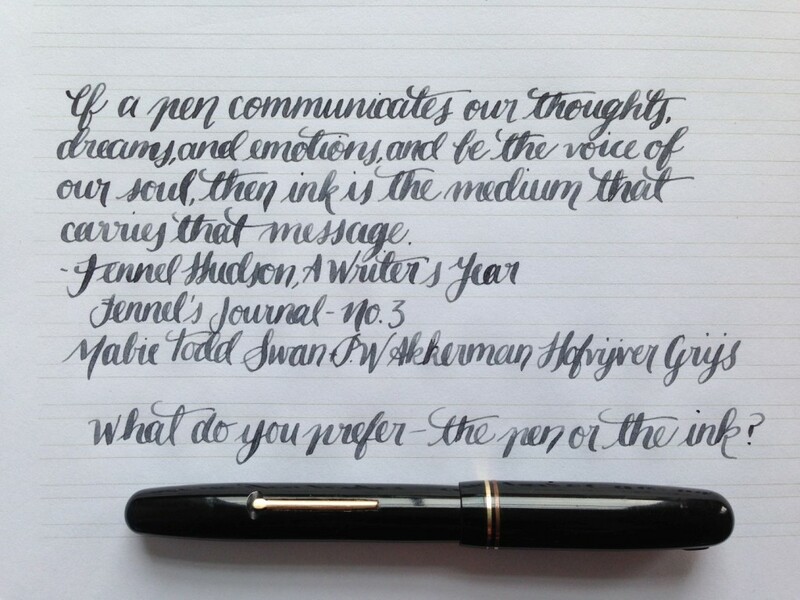 Handwritten Post – Pen Or Ink? What’s more important to you? Which do you prefer? I used to love pens more in my collecting days – the days where I would explore pens – because I would buy just about any pen. When I realized what kinds of pens I liked, it was easier to acquire inks. Now, it’s all about the nib for me. I like special, unique nibs, and nibs that blow me away. This entry was posted in Ink, Vintage Pens and tagged Handwritten Post. Bookmark the permalink. Follow any comments here with the RSS feed for this post. Post a comment or leave a trackback: Trackback URL.